I've heard of these for a while now but wasn't inspired to try for myself till I checked out Roshini's post on her fab results she got from it. Plus, I figured since my hair was so dirty from these twists (that I took down last night), a lil exfoliation would do my itchy scalp good and help break up and lift the dirt and build up for sure. As always, I eye ball my measurements so I can't tell you how much I used of everything. In my case, I wanted more sugar than oil so I made sure all the sugar got wet but that the mix wasn't super oily. Instructions: Section hair and apply to scalp. Once all applied, GENTLY massage your whole head. 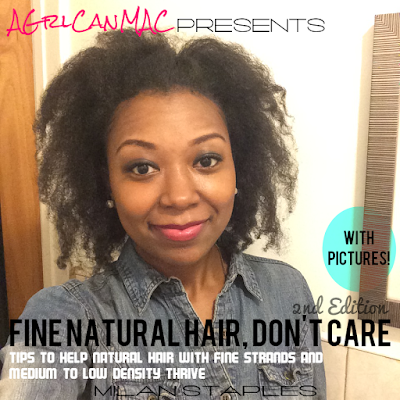 (No need to press hard or you will agitate your scalp more than necessary and probably make it sore.) 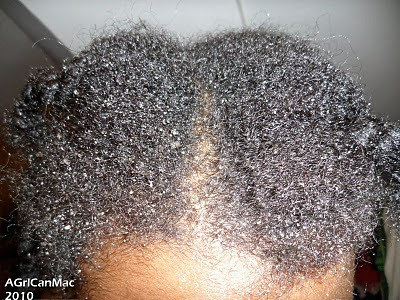 You can leave it on for a while if you like or rinse it out right after and continue on with your regular wash routine. If you follow me on Twitter, then you know how I felt about it right after I tried it. It. Made. My scalp. Feel. HEAVENLY. It left my scalp feeling "squeaky clean" and refreshed without it feeling stripped. Plus massaging it in left me very mellow and relaxed. Lol. I probably won't do these frequently but it's nice to know when my scalp is feeling exceptionally dirty, this scrub will aid in ridding the dirt/build up and refreshing it. Give it a try. You know you wanna and it's another cheap and easy recipe that delivers. Word of caution, it can get a lil messy. Just letting ya know so take that admonition and prepare for this how you may. I don't recommend this if you have a sensitive scalp/skin condition. As always, if you're unsure, check with your dermatologist.